Voice Assistant simplifies everyday usage of mobile phone. Just talk simple keywords to command your Tizen phone. 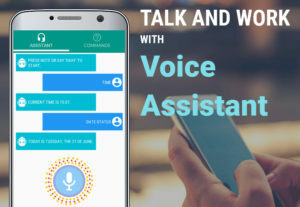 Application works completely in OFFLINE mode – there is not required internet connection to recognize voice and generate speech audio.